Wall walk - A walk way high up on a wall, usually a bawn, and is used for defence purposes. Wall walk at Ballynakill in Co. Tipperary. Ward - A ward functions in the same way as a Bailey in that it is a courtyard area enclosed by a curtain wall. Wayside Cross - A high cross that is not in an ecclesiastical site but rather on the side of a road. Wedge tomb – The most numerous megalithic tomb type in Ireland with over 530 examples known. They are built within cairns and usually consist of a short front chamber and a longer main chamber which will increase in width and height toward its western end. Wheeled Cross - A form of high cross noted for it's wheel shaped head. 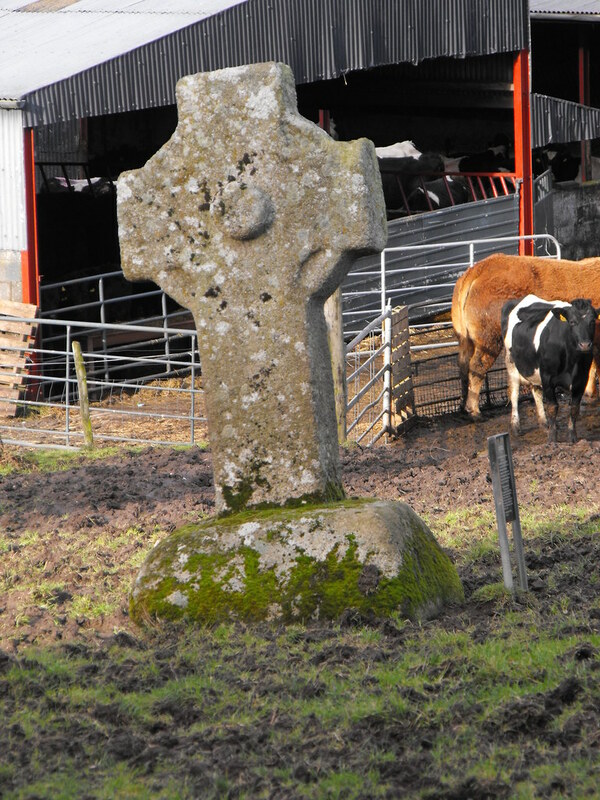 Wheeled cross at Nurney, Co. Carlow. Wicker centring - Wicker centring is a pattern left in the mortar on the inside of a castle from during construction. During the construction of vaulted ceilings a timber framework and wicker mats would be built before the stone being placed on top. The wicker mats left patterns in the mortar which can often be seen today.